ABTS [=2,2'-Azinobis(3-ethylbenzothiazoline- Min. 98.0 (N) Not available. Not available. minutes. COLD water may be used. Get medical attention. be used.Wash clothing before reuse. Thoroughly clean shoes before reuse. Get medical attention. Combustion Products These products are toxic carbon oxides (CO, CO2), nitrogen oxides (NO, NO2), sulfur oxides (SO2, SO3...). Always store away from incompatible compounds such as oxidizing agents. BEFORE handling this product. Be sure to use a MSHA/NIOSH approved respirator or equivalent. Physical state @ 20°C Solid. (Crystalline powder. White to slightly Solubility Soluble in cold water. 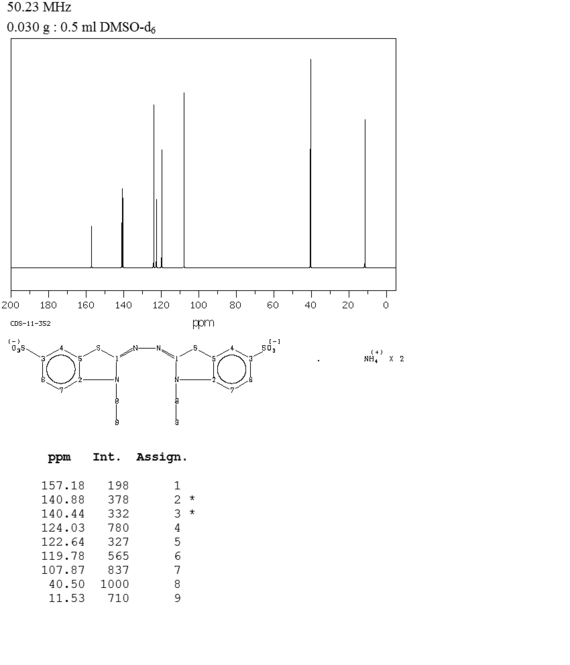 Molecular Weight 548.68 Partition Coefficient Not available. Boiling Point Not available. Vapor Pressure Not applicable. 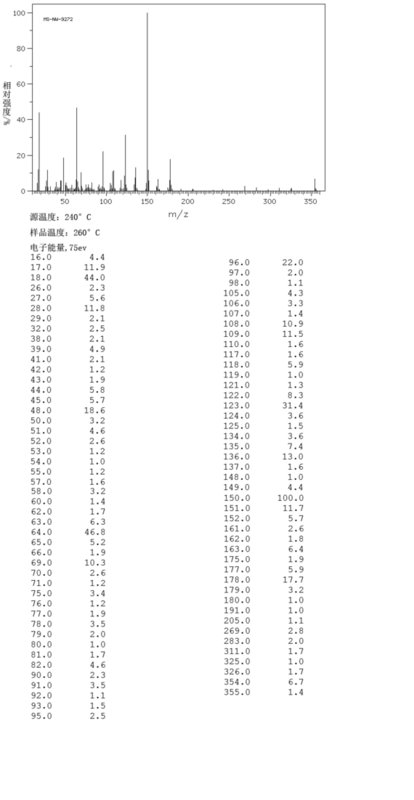 Melting Point 300°C (572°F) Vapor Density Not available. Viscosity Not available. Taste Not available.